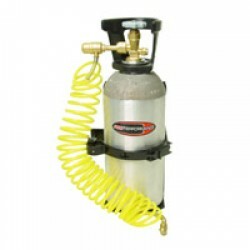 EAD Offroad carries CO2 tanks and regulators Poly Performance, Smittybilt, Viair and more. If you can't find what you are looking for call us or send us an email. 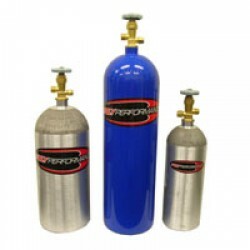 Poly Performance CO2 Kit 5, 10 or 15 Lb Aluminum Tank 10lb & 15lb Tanks Come With A Handle Mounting Bracket Included 150 PSI Constant Flow Regulator 25 Ft, 200 LB. 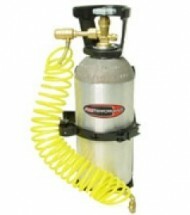 Max Flow Self Coiling Hose Air Chuck..
Poly Performance CO2 Tank Mount. 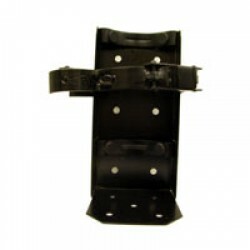 Available For 5, 10, 15 or 20 Lb Tank CO2 Tank Mount Powder Coated Black ..
Poly Performance CO2 Tanks Aluminum CO2 Tanks Available In 5, 10 or 20Lb Tanks May Come Powder Coated Or Raw Powder Coat Color May Vary Call To Order Specific Colors.. 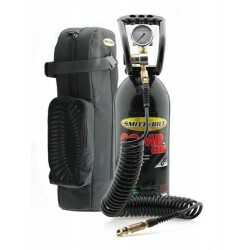 The all new Compact Air System is the latest addition to Smittybilt’s extensive range of quality accessories. 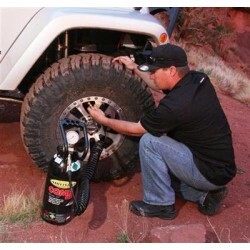 After traversing some tough rock trails or cruising through sandy dunes, the last thing you want to do is waste time re-filling tires to continue on with the journey. The Smittybilt Compact ..